The GMR group is selling 46 per cent share in its airport business to a three-member consortium that includes the Tatas in Rs 8,000-crore deal to reduce its debt. The deal will give India's largest conglomerate indirect stakes in seven airports in India and abroad. The deal values GMR's airport business at Rs 22,475 crore. The Tata group runs airlines, charters and aviation catering business but its efforts to own and operate airports were unsuccessful till now. It had expressed interest for Navi Mumbai airport and projects but did not bid for them. 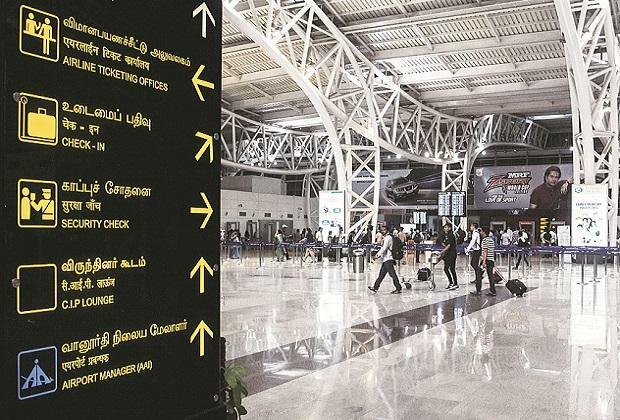 While GMR had been in discussions with Singapore’s GIC and SSG Capital Management to sell stake in airports for a while, Tatas joined the fray two months ago. On Wednesday, the GMR group said it had signed a binding term-sheet with the three entities to sell stake in GMR Airports Limited (GAL), its holding company for airports. The deal includes fresh share sale of Rs 1,000 crore to new investors and secondary sale share of Rs 7,000 crore. Tatas will own 20 per cent stake while GIC and SSG will hold 15 per cent and 10 per cent, respectively. While GMR will retain management control, new investors will get board seats. GMR will give an exit to private equity investors who own 5.8 per cent stake in GAL. After the share sale, the group plans to demerge the airport vertical into a separate listed entity as this will enable it to attract more investors and get better valuation. “This will create two mirror entities, and with the same shareholding structure. This will not be unfair to the minority investors,” said Saurabh Chawla, executive director (finance and strategy). GMR group retains 54 per cent stake now and can increase it to 62 per cent over the next five years, which will value the airports business at Rs 22,475 crore. This will be based on certain commercial milestones and GMR will receive fresh shares in GAL. Sushil Kumar Modi, chief financial officer (strategic finance) of GMR group, said the firm will not have to raise much debt to fund its expansion plans and can tap cash flows from real estate monetisation and non-aeronautical revenues like duty-free sales from airports. At the consolidated level, the company has a debt of Rs 20,000 crore and it will reduce it to Rs 12,000 crore after the transaction. The group will spend Rs 14,000-15,000 crore to increase capacity at Delhi and Hyderabad airports and would need an additional Rs 4,000 crore for Goa and Nagpur airports. GMR runs airports in Delhi, Hyderabad, and Cebu in Philippines, and has won bids for projects in Goa, Nagpur, Bhogapuram (Andhra Pradesh), and Crete (Greece).